From the Chakra Collection. 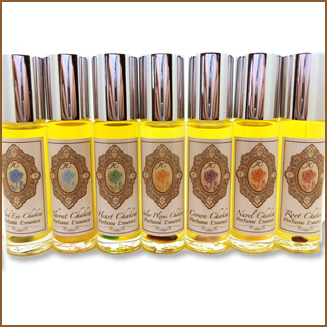 7 Chakra Collection (travel kit). 7- 15 ml roll-on bottles in a handsome handmade pouch.